Almost 1/6 of all known bird species can be found in Ecuador, making this country a true paradise for birdwatchers and photographers. Our Ecuador Birding Tour gives you the possibility to see a lot of them. Unique about this country are the many different altitudes and habitats on a very small space. 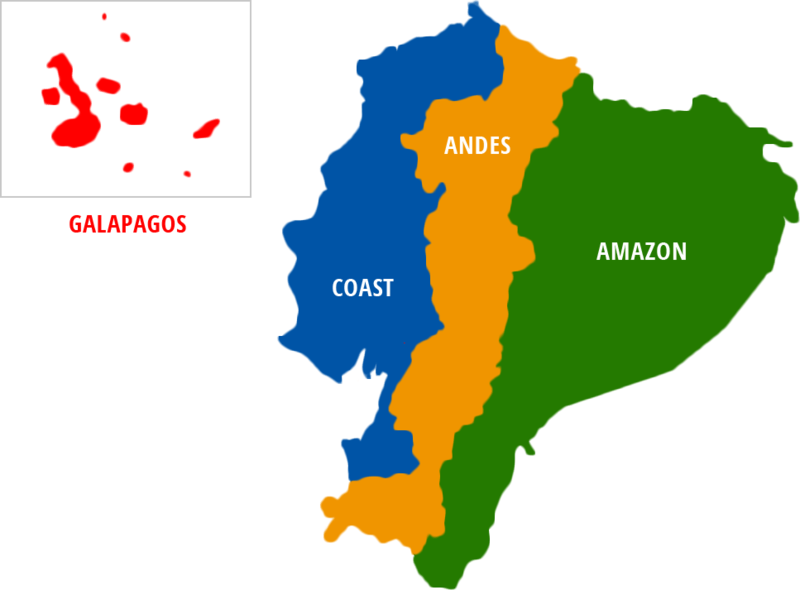 Consequently Ecuador has the highest number of species per square mile. 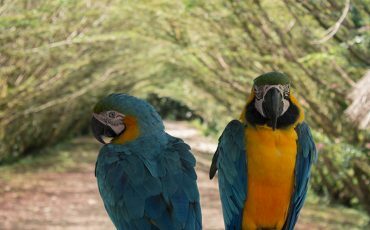 Find here a list with a small selection of Ecuador’s bird species. Our birdwatching tour starts in the Northwest of Ecuador, in the area around Mindo, which belongs to the endemism-rich Chocó, continues close to the wet Páramo of Papallacta, visits the cloud forests of the Northwest- and Northeast Cordilleras, dives down into the Amazon lowlands and leads on the penultimate day up to the dry Páramo of the Antisana Volcanos to observe the majestic condor. We thus move from sea level to 13,123 ft. a.s.l. We hope to see about 400 species during our 16-day tour. Upon your arrival at the international airport “Mariscal Sucre” in Quito, pick-up and transfer by your English-speaking guide. For the first night, you stay in a cozy Bed&breakfast close to the airport. 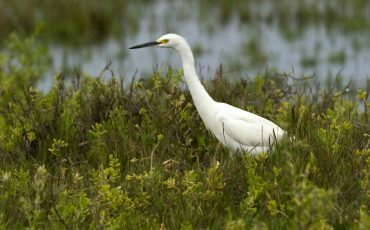 Relax after your flight, before you start your bird-watching tour early the next morning. In the morning, transfer and short flight to Coca, which you reach after about 30 minutes. You travel by large motorized canoe downstream on the Napo River to Sani Lodge’s dock. On a small trail you reach the Challuayacu River where you take a small dugout canoe, which takes you to the lodge. It is picturesquely situated on the Challuacocha Lake in the corridor between two large protected areas: the Cuyabeno Reserve to the North and the Yasuní National Park in the South. During your journey your expert local bird guide will show you the first lowland river birds: for example the Anhinga, Rufescent Tiger-heron, Greater Ani and Red-headed Cardinal. A short, ten minute walk through the forest will bring you to the 36m (100ft) tree tower, built around a giant, emergent Kapok tree. Looking out across the rainforest canopy at this level, gives you a unique perspective, opening up a whole new world of Amazon biodiversity that is often difficult, if not impossible. to see. 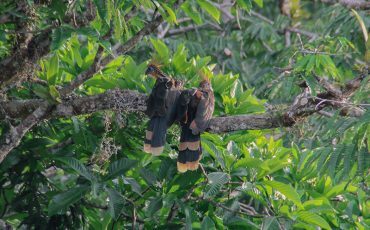 White-throated Toucan, and Bare-necked Fruit crow, to name just a few, and if you have a little luck, you might even see Red Howler Monkeys asleep in the treetops. 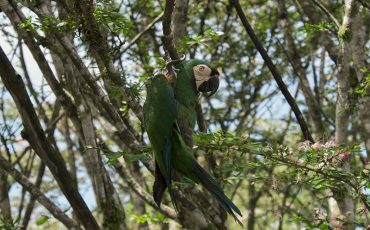 You also visit at least one parrot lick, where you can expect to spot the Mealy Amazon, Dusky-headed Parakeet, Cobalt-winged Parakeet and the Scarlet-shouldered Parrotlet. With luck you can also discover the Boa Constrictor which lives close to the lick on the Napo River. Most birds you will see during quiet canoe tours: the Limpkin, Hoatzin, White-chinned Jacamar, Silvered Antbird, Cinnamon Attila, Black-capped Doncacobius, Masked Crimson Tanager. Short walks through the forest let you discover terra firme species like the White-fronted Nunbird, Great Jacamar, and Cinereous Antshrike. With lots of patience maybe also the White-lored Antpitta and the Pink-throated Becard. A real highlight is the observation tower with its dizzying height from which you can easily watch treetop species: the majestic King Vulture, the colorful macaws, the small White-browed Purpletuft, a sleeping Great Potoo, the impressive Blue-throated Piping Guan and many more. A half-day tour takes you to an island in the Napo River, where special species can be observed: Plaincrowned Spinetail, White-bellied Spinetail, Black-and-white Antbird, Spotted Tody-flycatcher and the Olive-spotted Hummingbird. Your early departure and last excursion from Sani Lodge may reveal new nature sights. Hiking and canoeing back to the Napo River and then embarking on motorized canoe will allow you to continue your trip back to Coca. Once in Coca, you continue on a road trip for few hours out to the Wild Sumaco Lodge. The lodge is set on a ridge in the Andes’ eastern foothills, with panoramic views reaching across the Rio Pucuno Valley and to the Andes beyond. At arrival, you first observe the hummingbird feeders, where the amazing number of 42 species was registered. Fourteen of them visit the feerders frequently, among them the Napo Sabrewing, Violet-headed Hummingbird, Wire-crested Thorntail, Golden-tailed Sapphire, Many-spotted Hummingbird. You also explore the beautiful forest around the lodge on easy trails and on the dirt road, accompanied by a local bird guide. Toucans (for example Many-banded Arassari, Channel-billed and Black-mandibled toucan), Woodpeckers (for example Crimson-bellied and Crimson-crested), Antbirds (like the Lined Antshrike and Blackish Antbird) and Tanagers (Orange-eared Tanager, Paradise Tanager, Magpie Tanager) might cross your way. Special highlights are, among others, the Plain-backed Antpitta and the only very locally occurring Coppery-chested Jacamar. At night, Great Potoo, Band-bellied Owl, Rufescent Screech-Owl and Foothill Screech-Owl often call from near by. A short detour takes you along the Jumandy trail in the Guacamayos mountains. You look for the Masked Trogon and the Emerald Toucan as well as for the Hemispingus and Bush Tanagers. After an early birding along the road you’ll reach Cabañas San Isidro. This reserve and lodge is located at 6800 feet a.s.l. with an amazing view of the Quijos Valley and Guacamayos Ridge. In the afternoon, you explore the open areas around San Isidro and in the evening you can try to spot the very rare and yet undescribed San Isidro Strix owl, which hunts near the restaurant. 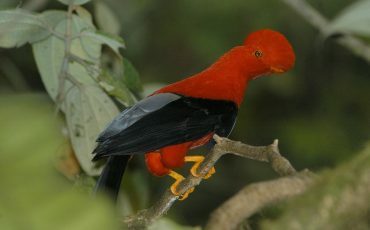 Large mixed flocks roam the forest such as Saffron-crowned Tanager, Black-eared Hemispingus, and Rufous-breasted Flycatcher; whereas Rufous-crowned Tody-Flycatchers and Long-tailed Antbirds skulk in the bamboo patches along the road. Hummingbird feeders attract many different species like Bronzy Inca, Collared Inca, Gorgeted Woodstar, Green Violetear, Long-Tailed Sylph, Fawn-breasted Brilliant, Sparkling Violetear among others. Our journey will begin early in the morning for a scenic drive. Dramatic changes in vegetation patterns take place with altitude variation. You’ll stop at Guango to get a taste of the beautiful Andean temperate forests. 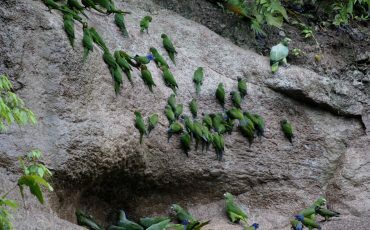 Colorful mixed flocks with birds such as Lacrimose and Hooded Mountain Tanagers, Blue-backed Conebill, and Black-capped Hemispingus can be seen around the lodge. 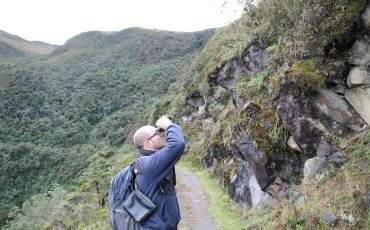 Here you have possibilities for rare and very local birds like the Mountain Avocetbill, the stunning Gray Breasted Mountain-Toucan, Andean Guan, and Northern Mountain Cacique. Depending on the weather conditions, get to the Papallacta pass in the morning or in the afternoon. At an impressive altitude of about 13,000 ft. you try to spot the bird species that live in the high Andean Páramo: Tawny Antpitta, Many-striped Canastero, White-chinned Thistletail and Brown-backed Chat tyrant. Today, you visit the drier Antisana Páramo which is located at about 13,100 ft. There you will have good chances to see Ecuador’s national bird, the impressive Andean Condor. You might also see the Black-faced Ibis (there are very few in Ecuador) and will have the opportunity to study one of the many Carunculated Caracaras from up close. In the afternoon you return to Quito. Depending on your flight time, transfer to the airport “Mariscal Sucre” in Quito. 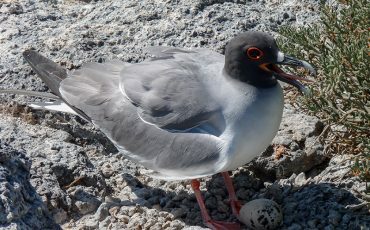 Or you can extend your stay with a tour to the Galapagos Islands. **Ask us about our options to extend your trip to the Western Slopes or to other destinations. 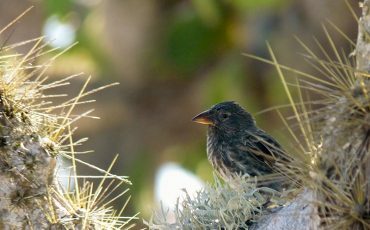 4D/3N Birding package at Sani Lodge with a Native and bilingual guide in a shared group of max. of 8 pax. 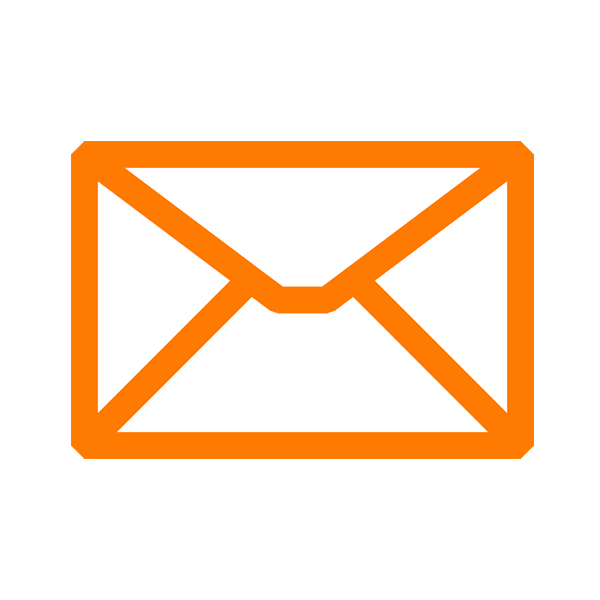 Single supplement fee: USD $720,-p.p.